David specialises in the provision of training, mentoring and coaching of board directors and senior executives in all aspects of management and corporate governance. He has fifteen years of experience delivering training to company directors on effective board practices in countries throughout the world. He has worked in many different roles including CEO, CFO, business development, marketing and sales and has been heavily involved in many aspects of corporate management including establishing joint ventures, several significant acquisitions, an MBI, an MBO, preparation for a stock exchange flotation (IPO) and a major merger. He has considerable experience in the formation, development and governance of companies in a number of European countries. David has over 30 years’ experience in management of, and consultancy to, companies (from SMEs to large multinationals), governmental bodies and financial institutions throughout Europe, the United States, Australia, Africa and Asia. His expertise covers a wide variety of industries, including chemicals, telecommunications, IT, oil and gas, banking and financial services, FMCG and environmental management. With a colleague, he founded a group of companies specialising in project management and consultancy services for complex or large IT programmes and projects, building it to annual sales of over €100 million with approximately 500 professional staff by the time he sold his shareholding in the group. His IT background also includes more than five years in software development and consultancy with ICL plc. David is a member of the board of directors of several European companies and from 2000 to 2007 was the Chairman for Continental Europe of the Institute of Directors and a member of the governing Council of the Institute of Directors in the UK. He is also an honorary member of the European Foundation for Management Development. He is a fully qualified accountant and has degrees in mathematics and business, including a Doctorate in Business Administration, as well as being a fellow of several professional institutes. 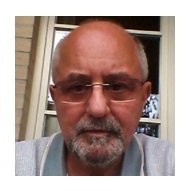 David speaks good French and Dutch and has a working knowledge of Spanish and German as well as some Italian.